Forerunners of spectacular aluminium computer cases, Lian Li are recognised as the crème de la crème of case designers. We’re generally always excited and intrigued by their products and today is no exception. Back in August of this year Lian Li announced the PC-10N and today we have the pleasure of taking a look at it. 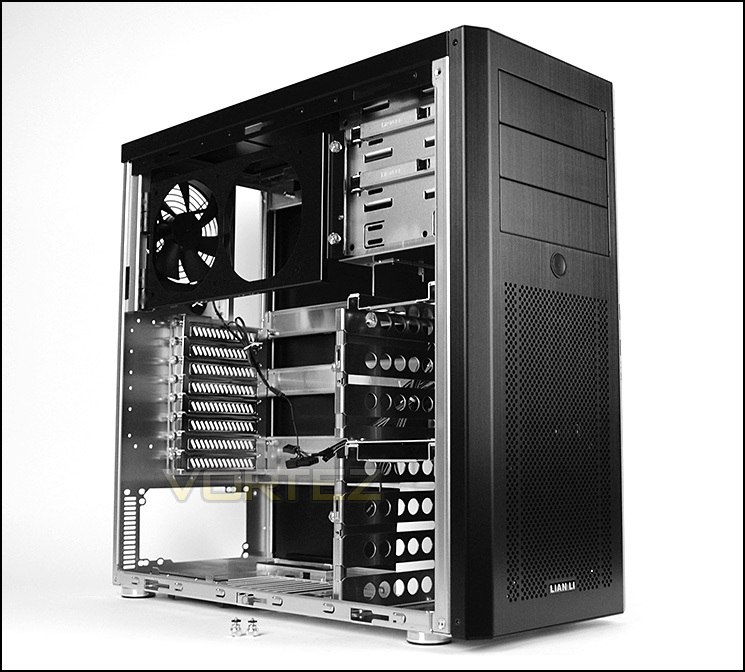 Lian Li’s PC-10N is an all-aluminium mid-tower which besides allowing for a 240mm radiator to be placed on a hinged bracket, relinquishes the traditional motherboard tray and instead makes use of a rail mount design. Will this alternate solution work in Lian Li’s favour? Read on to find out! Our outstanding quality has earned us ISO 9001 certification for all of our products. In addition, we back up our quality assurance with a two-year a guarantee on most of our products.